Let the good things roll in! Our adorable Chief Editor, Lea Schizas, has asked for poetry and flash fiction to be submitted to my column. I’ve received none! Assuming that readers of The Muse Marquee may be unsure what poetry or flash fiction looks like, I’ve decided to include examples of each in this month’s edition. Abandoned by those he had known. What good are your words in the field? Can we hitch them to the plough? Do they trap us meat or catch a fish? Who comes at night to steal and kill! And most unfair that torrent of abuse. He abandoned his pen and lost his way. Until death arrived by his own hand. With a glowing verse to catch the sun. Unjustly forbidden during his earthly life. However, poems can vary in length, style, and so many other ways. See Hetty Nassau-Austen’s “The Rudiments of Poetry” in the November 2005 edition. Toulo nodded at the wisdom of Poro’s words. He approached Bouka as she worked in the village garden. She acquiesced, and he led her down the garden path. Festival day arrived. All morning people celebrated with song and dance. Games were played and feasts devoured. At mid-afternoon, King Hau’Ofa IV appeared on the cliff above the shoreline. Merriment ceased. The tribe’s shaman approached him leading an unattractive, dumpy girl who looked about eleven years old. “Why do the sacrificial virgins look younger and less attractive each year?” asked the king. However, flash fiction can vary in length, genre, and so many other ways. 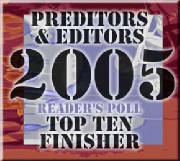 See my column entitled “Flash Fiction” in the February 2006 edition. Send in your submissions of poetry and flash fiction – they will be considered for publication in The Muse Marquee. We exist to help and inspire aspiring authors. Now I’ll wait with for your submissions. Let the good things roll in.